Chances are that you either are familiar with him and what he does or you would have heard of the impact of his oeuvre – be it within or outside the confines of China. What Weiwei does is always political – sometimes more explicit than not. As an artist Ai Weiwei does not limit himself to a single discipline: Writing, installations, photography, sculptures, films and documentaries are all part of his repertoire with freedom of speech, the abuse of human rights and the need to lend his voice to those who are not being heard being central topics – which is not further wondrous as he is a former refugee himself. 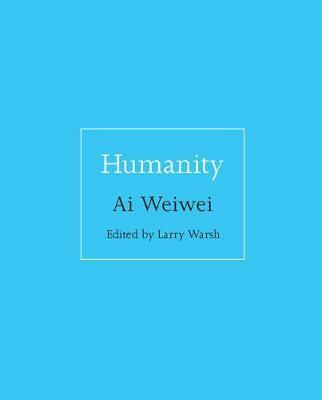 The title of this little book is a telling one: It comprises Weiwei’s musings on the history of humanity and mass migration from interviews, essays and extracts from conversations with the red thread that it can be condensed to being that at the end of the day we all are refugees and that the concept of artificial man-made demarcation lines is incompatible with the times we live in. With the tendency of history to repeat itself over and over again and a climate of indifferences, the book raises fundamental question that everyone should consider before trumpeting his angle out into the word. Humanity epitomizes Ai Weiwei’s mission, one of compassion and preservation of basic human rights and is testament to his unwavering focus on ensuring that those who come across him do not ignore their individual obligation.